So as Gray was pushing his shopping cart around the sidewalk out front he found some branches from our Christmas tree that somehow ended up being left behind when they picked up the tree itself. Well being a toddler he was delighted and proceeded to start ‘sweeping’ it around the driveway. After a while it passed through a puddle and left marks where he swept and that made him even happier, so I thought, why not paint with them? 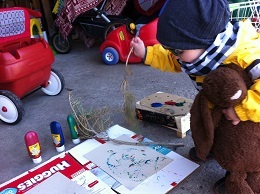 He went down for a nap pretty early and while he was asleep I set up a little paint station for him in the garage. 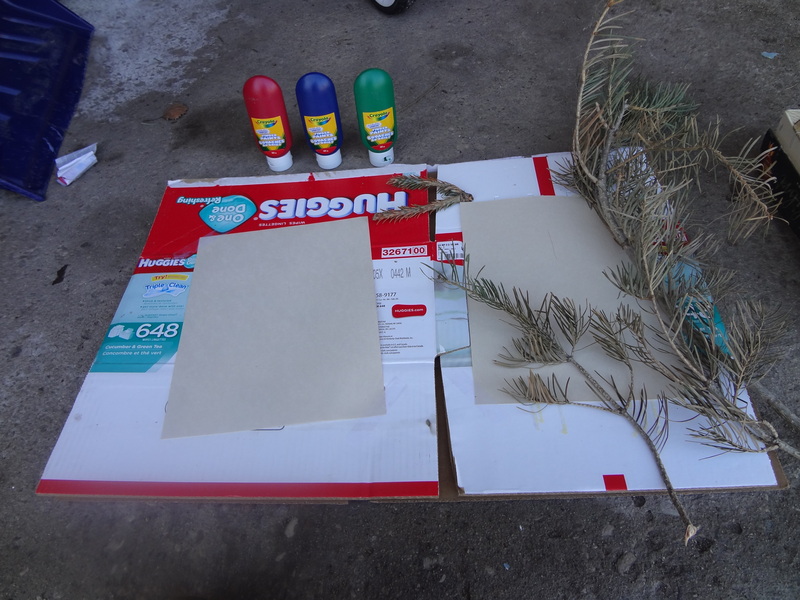 I just set out some paper on an old wipes box, finger paints, and some different branches we had collected on our travels earlier that morning. When he woke up he immediately wanted to go back outside, much to my delight. 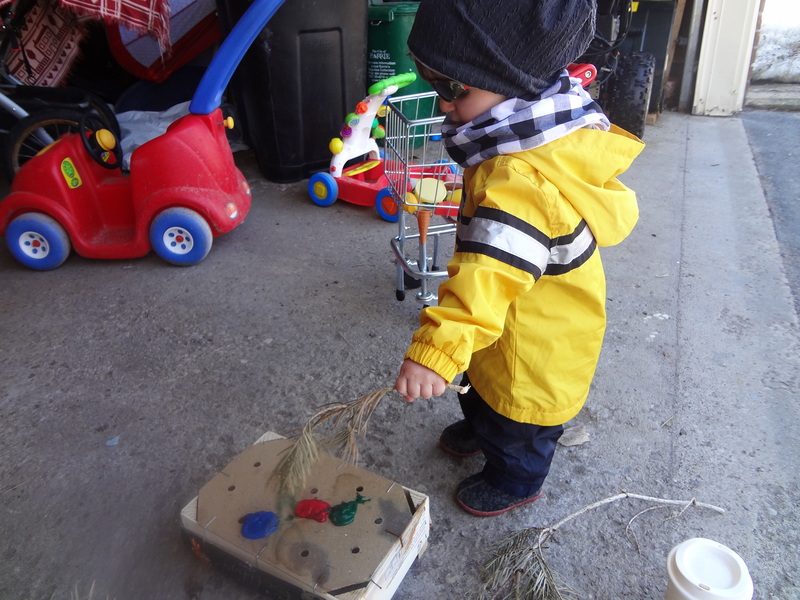 After a few minutes of splashing in mud puddles we wandered over to the paint station and he got right into it! 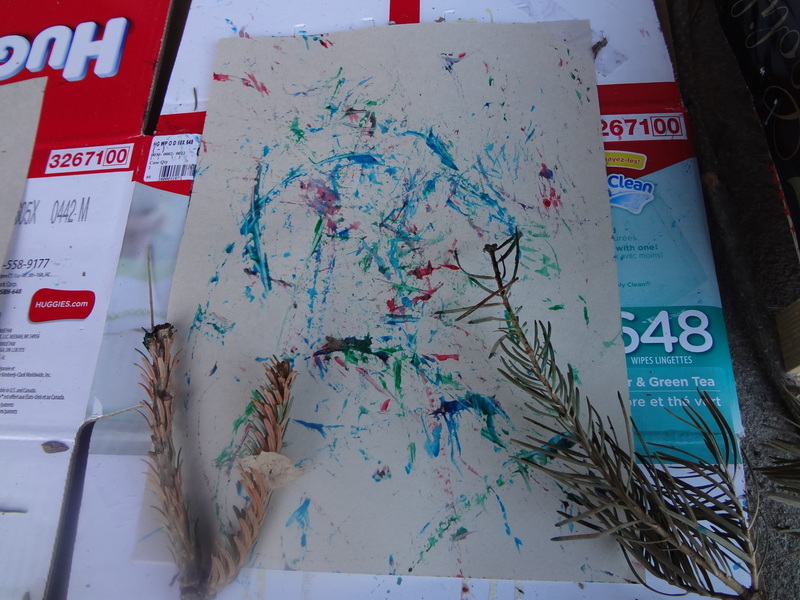 He would paint for a minute, and wander away for about 10 minutes before straying back to paint some more. This was the finished product. The branches made some pretty cool lines, and I think that when the weather gets better we will travel to the woods near our place to collect different types of branches from the forest floor and try this activity again. 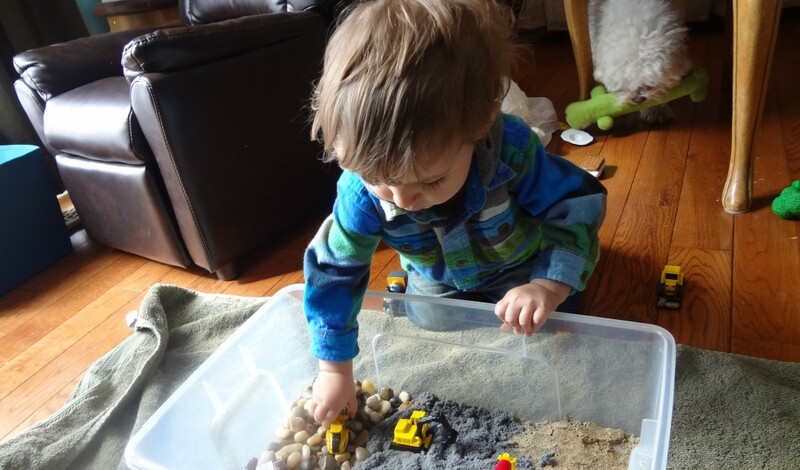 I hope you enjoyed this post and will join us again at Excite and Explore! 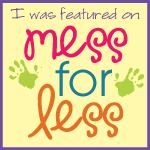 Categories: Creative Crafts | Tags: crafts, nature play, painting, Toddler | Permalink.